In need of office supplies the AIG ventured out to find the biggest stationary barn in CP. Much to their dismay “Delhi Stationary Superstore” turned out to be a one aisle corner shop. There we learned a lesson in the importance of the shopkeeper, the owner had one…of everything. Shopping in Delhi is a very human experience, most stores cannot be negotiated without help and you come to realize that there is an amazing efficiency in the entire process. Once everyone expects to ask for help, the shopkeeper no longer has to concentrate on displaying their wares for the customer, they shelve them in a manner that suits their business. 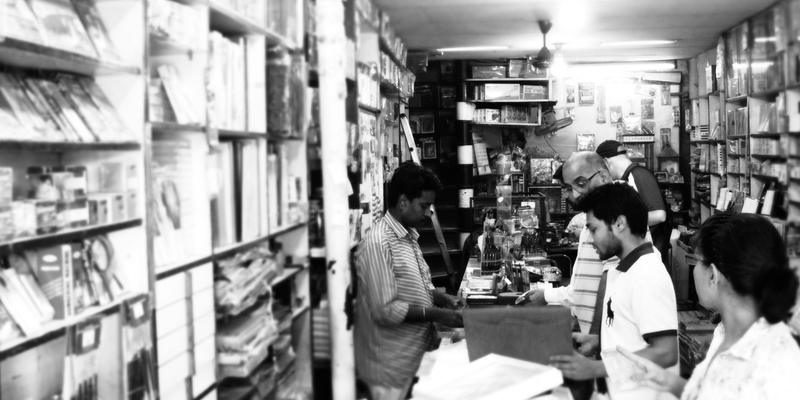 This is why with less than 250 square feet Delhi Stationary Superstore rivals Staples and is the greatest store in the world. This entry was posted in Places, Travel and tagged Delhi, India, Retail, Shopping, Stationary. Funnily enough, I’m in Staples getting supplies for Oscar’s Johns Hopkins course – not as enriching an experience as yours sounds! !